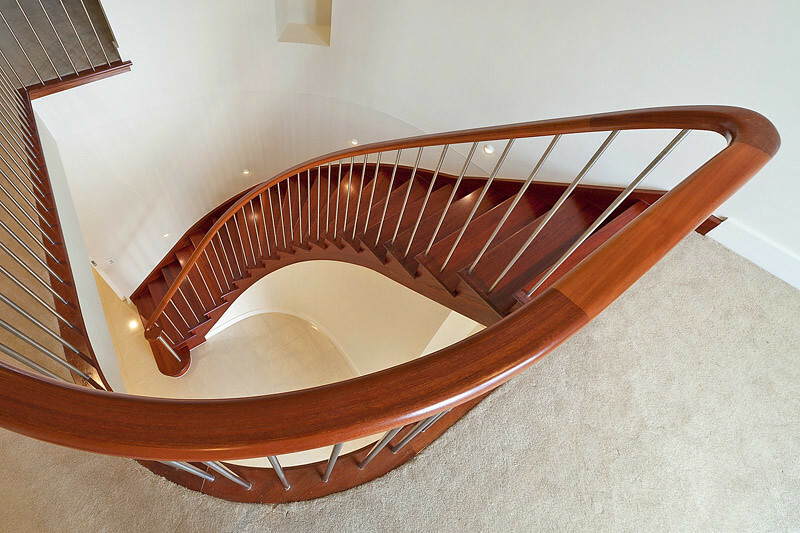 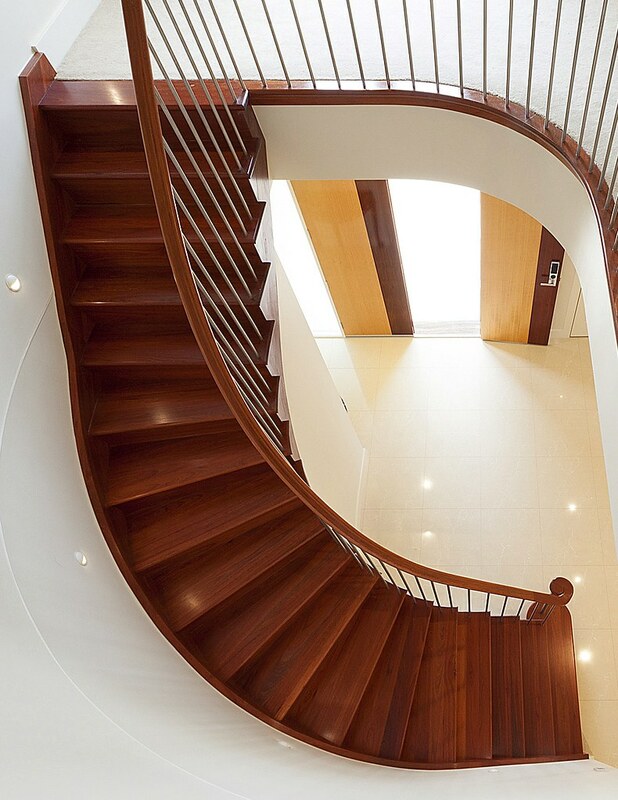 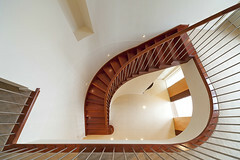 This large curving staircase delivers a touch of elegance and charm upon entering this new, Mount Waverley home. The clients wanted a beautifully clean and elegant staircase. 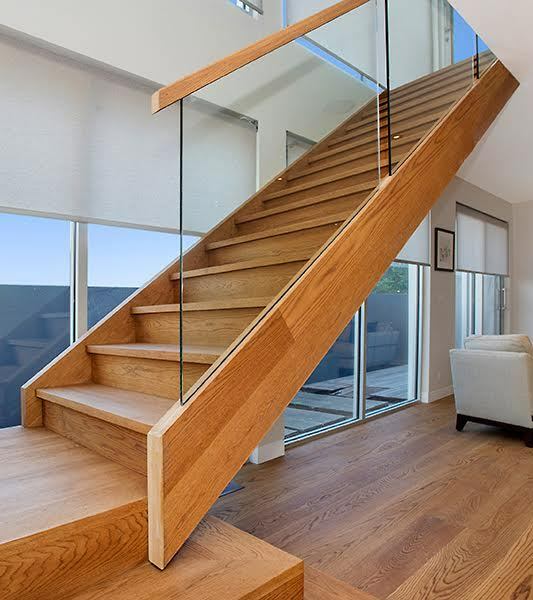 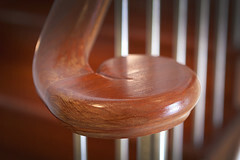 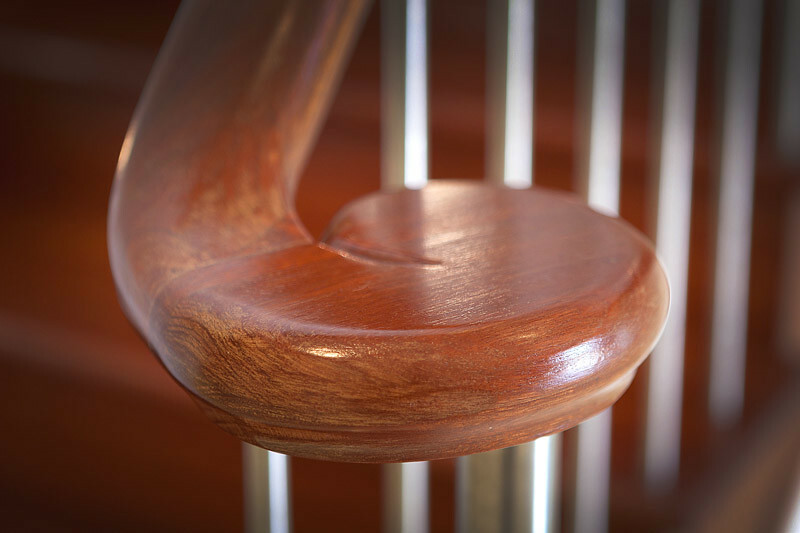 The staircase has traditional cut string to the open side of the flight withstainless steel insert balusters. 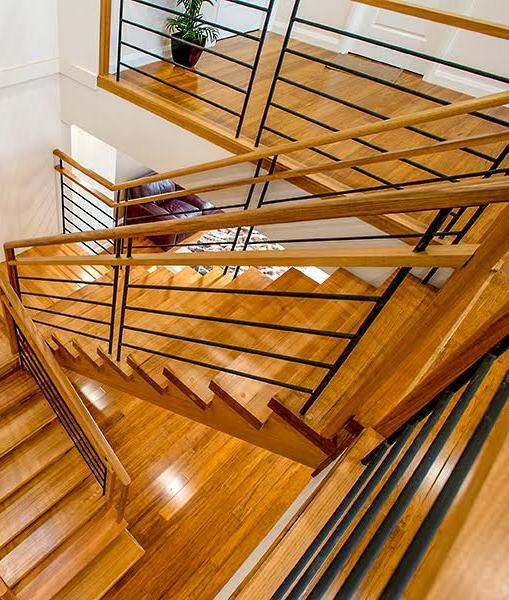 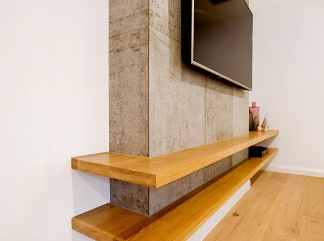 All timbers are Sydney Blue Gum with a clear finish. 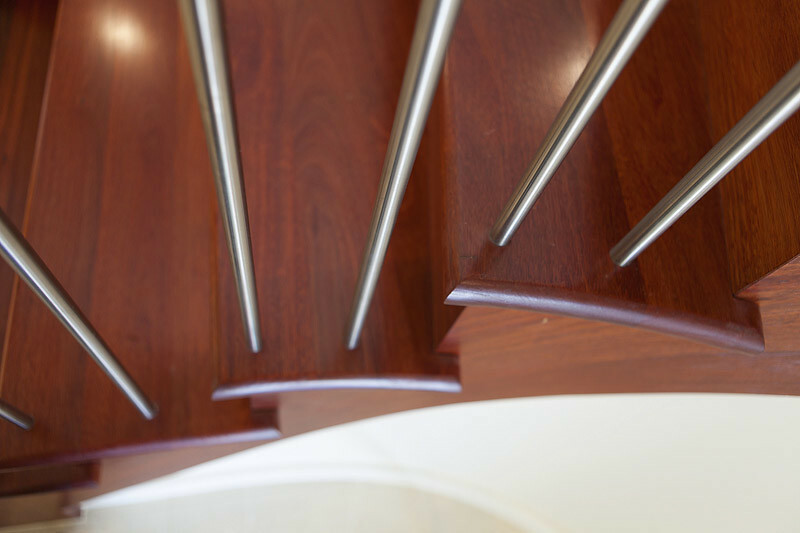 The custom made, hand crafted continuous handrail commences with a wreathing handrail scroll over a stainless steel scroll post and rounded feature bullnose step. The handrail is continuous and curves and wreaths until it terminates at the wall on the first floor. 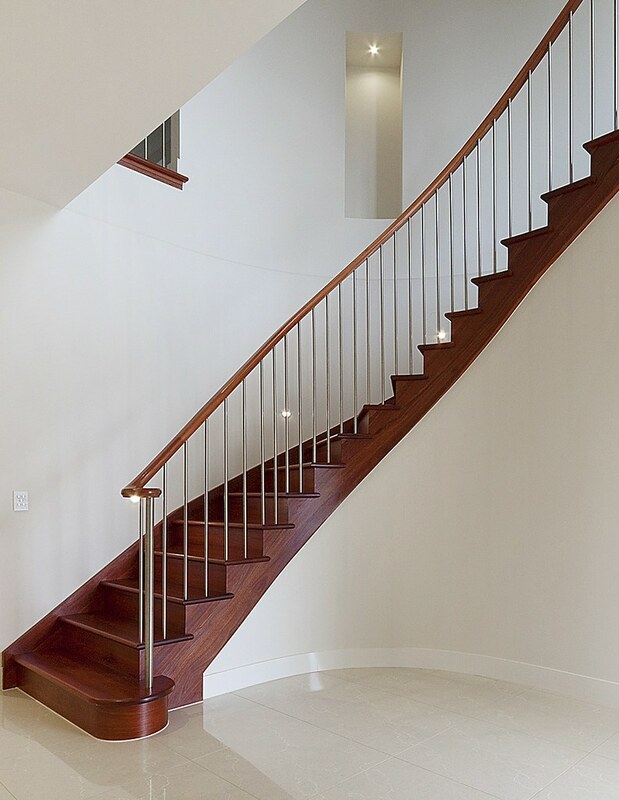 Specifications: Individual Round 16mm stainless steel balusters.Ex 75x50mm timber handrail. Ex 38mm capping.